“I told you we should’ve had the support group meeting in a tree house instead of your living room!” Glugar protested. 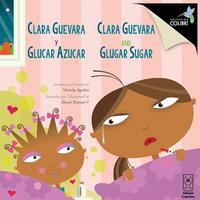 Clara and Glugar had decided to start a support group where they could meet others going through the same things. “Maybe the invitations should’ve had a picture of me!” Glugar complained again. “Ugh … stop whining! Someone will show up! You’ll see …” Clara was losing her patience. Not long after that, Clara’s little brother Julian appeared with two older kids. “Hey, aren’t you going to introduce me too?” Glugar whined. “Ha, they all know you dear!” Clara laughed. “Not today, thanks though … my friends are waiting outside,” he said running out the door. When everybody had sat down, Clara asked, “So, how’s everybody? How’s your life with diabetes been? “What? Diabetes, CONTAGIOUS? Ha-ha-ha! I can’t believe it!” Daniel laughed. “Have any of you been bullied because of diabetes?” Daniel suddenly asked. “What did you do?” Camilla asked in shock. “Well, as we should all do, I immediately reported her to our teacher, and I believe she was in ‘time-out’ for a while … ha, that serves her right!” Clara smiled. “Oh, we all know that diabetes is a serious disease … right?” Clara looked at Camilla and Daniel. “Yeah, but one is healthier than the other,” Camilla lectured. “Who cares? As long as you count your ‘carbs’ all is well,” Daniel intervened. “So, let’s continue the meeting in the kitchen then!” Glugar exclaimed. They all walked to the kitchen, and joyful laughs could be heard all around the house that afternoon. “Ah, there’s nothing like having a good time with friends,” Glugar thought to herself. Hola Mariela, felicidades por tu publicación todo un orgullo para tus colegas que continuas haciendo grandes cosas para los niños y como tu dices haciendo una labor social muy especial. Muchos exitos.